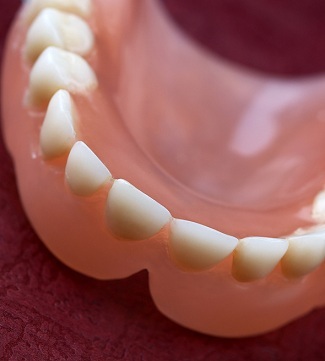 Dentures assist those who have suffered the loss of all their natural teeth. Our dentists in Oakland understand and sympathize how difficult and shocking this can be to those who have endured this tragedy. Our mission is to make your experience the best by displaying quality customer service and for filing your needs that will allow you to continue your every day life and make you feel proud to smile! Our dentist are qualified to give you the smile you’ve always wanted by designing teeth that are the correct size, shade of white, and have the natural appearance that will blend in with your personal facial characteristics. In other words, there are no two dentures in our office alike! They will be customized to fit you and will not click or slide out of place. Your smile is important and we wish to give you a long lasting one that you will be proud to share with everyone… including yourself in the mirror!